Smiths Detection, part of the global engineering business Smiths Group, has been selected by the US Army’s Edgewood Chemical and Biological Center to supply the Lightweight Chemical Detector (LCD)for use with a new advanced reconnaissance robot. The LCD is fitted to an iRobot PackBot robot. The LCD can detect a wide range of chemical warfare agents including nerve, blister, blood and choking agents. 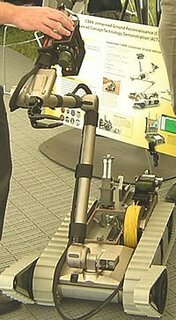 The new robots, which will be known as the CBRN Unmanned Ground Vehicle or CUGV, recently completed technical demonstrations at Aberdeen Proving Ground.